WASHINGTON, DC—Nuru International is among the presenters at “Greater Than the Sum of Its Parts – The Power of Integration”, the first FHI 360 summit on integrated development centered on how to harness the power of multisector approaches in the Global Goals era. Moderated by JustActions Founder, Leith Greenslade, this interactive event on Monday, June 13, 2016 will be structured around the themes of design, delivery, evaluation and funding. Ben Ramalingam, author of Aid on the Edge of Chaos, will kick off the day followed by deep-dive discussions with experts, storytelling from the field and engaging break-out group challenges. Susan Reichle, Counselor to USAID, will deliver closing remarks. Bringing together global development leaders and practitioners, policymakers, donor organizations and other change-makers, the summit will be a place for innovative thinking, learning and dialogue. All are welcome to live stream the event and contribute to the conversation. 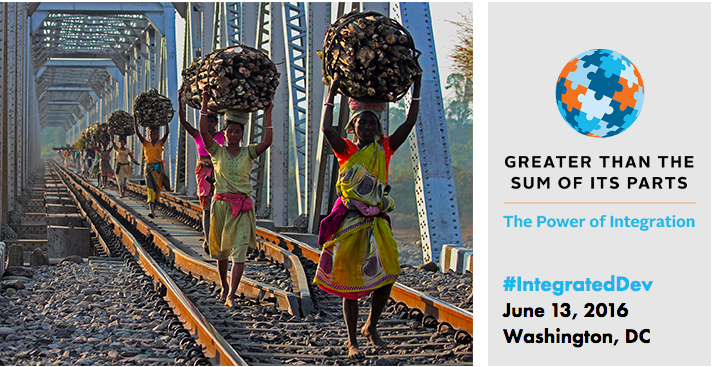 Follow the event on Twitter at #IntegratedDev. FHI 360 is hosting this event from 8:30 AM to 5:30 PM (EDT) at 1825 Connecticut Avenue Northwest Suite 800, Washington, DC 20009. FHI 360 is a nonprofit human development organization dedicated to improving lives in lasting ways by advancing integrated, locally driven solutions. Its staff includes experts in health, education, nutrition, environment, economic development, civil society, gender, youth, research and technology — creating a unique mix of capabilities to address today’s interrelated development challenges. FHI 360 serves more than 70 countries and all U.S. states and territories. Nuru International (nuruinternational.org) is a U.S.-based social venture on a mission to end extreme poverty in remote, rural areas. It establishes sustainable community development projects, such as Nuru Kenya and Nuru Ethiopia, to deliver high touch, holistic programming – in Agriculture, Financial Inclusion, Healthcare and Education – to engage all household members in building resilience and ending intergenerational poverty.